Show your love – Can You Relate? We bring you this post from Karen Rosenberg, a Washington State Coalition Against Domestic Violence consultant. At first the whole thing just seemed bizarre: making bomb threats against Jewish Community Centers to get back at an ex? How random. But then I realized with a sinking heart: if we understand how domestic violence works, there is nothing random here. This is textbook harassment. People don’t choose their tactics in a vacuum. They draw on what’s going on around them. We’re swimming in a sea of hate crimes. This guy used anti-Semitism—and fears of anti-Semitism—to punish his ex-girlfriend. The spike in hate crimes stresses our most intimate relationships. The separation between the public and the private is an illusion. Those who choose to abuse their partners have newly prominent cultural scripts of hate at their fingertips. 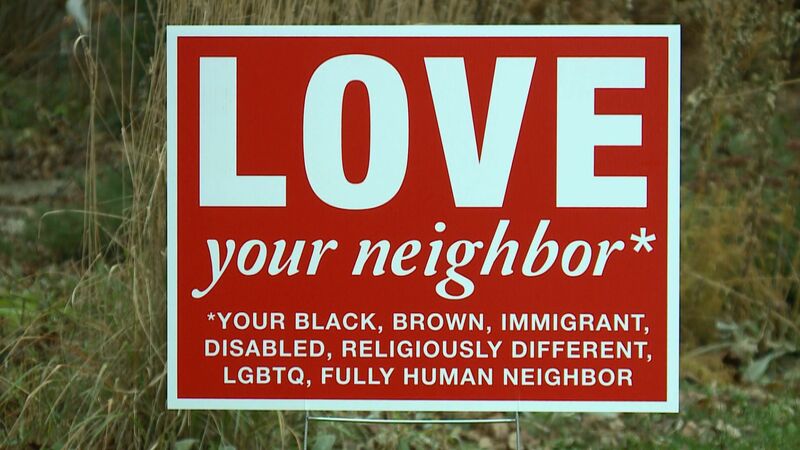 From this perspective, signs proclaiming love for our neighbors, support of our immigrants, and solidarity with Muslims take on real importance. They displace the rhetoric of hate. They remind us that we all deserve to feel safe, loved, and respected. So show your love in public. Our relationships depend on it.